Maple with Cocobolo back slats. The slats are a bent lamination to provide lumbar support. 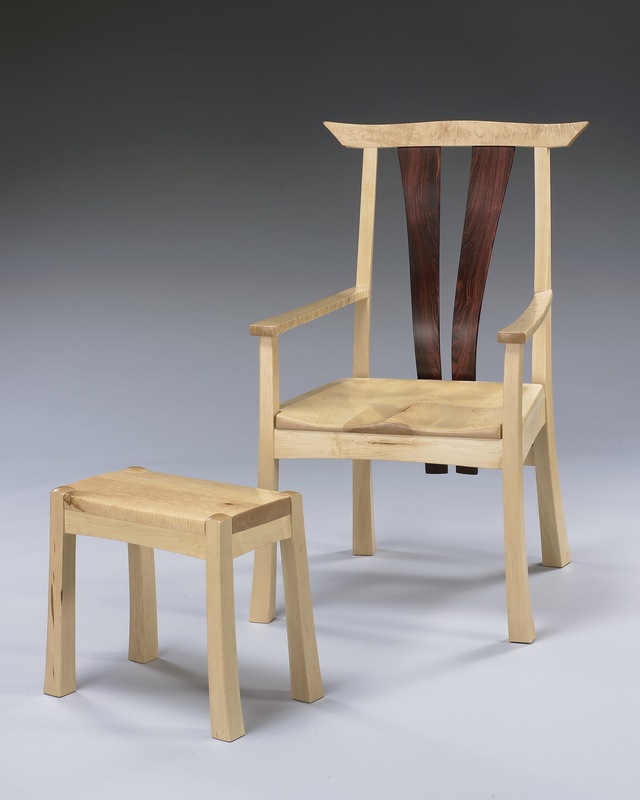 The crest rail is Curly Maple and the arm rests are Birds Eye Maple. I have also made this chair in Cherry with an upholstered seat.